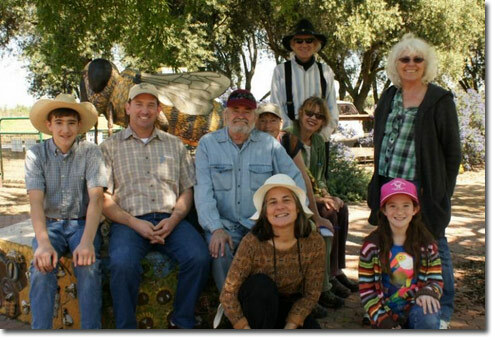 The Nevada County Beekeepers Association is a diverse group of professionals and hobbiest, men and women, young and old, with a keen interest in promoting the well being of honey bees and their habitat while enjoying their amazing benefits. The NCBA strives to promote education on beekeeping and agriculture by providing the latest news and techniques in these fields. The club members meet once a month on the first Monday at 7pm and visitors are always welcome. All meetings are held in the Veterans Memorial Building at 255 South Auburn Street, Grass Valley, CA. Entrance is off the back parking lot, in Grass Valley at 7pm. The August meeting is always moved to the County Fair Grounds with a fair booth clean up following by a barbeque social. Always wanted to get bees? Have some information to share? Wondering about pollination in your garden or orchard? Have some bees or equipment to sell? Want to meet some great folks? Join our lively question and answer session starting promptly at 7pm followed by refreshements, brief business discussion, raffle and a great program. Well the snow predicted on the day of February's meeting never materialized, I sincerely hope everyone got the message in time. We made the decision to cancel the day before the meeting in order to have time to get the word out. I realize many of our members have four wheel drive and have lived here long enough to be familiar with driving in adverse conditions, however not everyone is comfortable driving on snowy roads. We wanted to put neither our speaker nor our members at risk. Looking back at my March 2016 president's message I mentionedthen that the wild plums around town as well as some of my fruit trees were in full bloom. The past couple of years have certainly been different. As beekeepers we were spoiled by the mild winters of the drought years. It was easy to forget that the weather pattern this winter is much more typical for the foothills. We have to stay diligent and continue to monitor the weight of our colonies as between the cold and wet the bees may not get much flight time, and when they do get out there may not be much forage for them. I'm hoping for the sake of the commercial beekeepers that we have some milder, dry weather when it's time to bring their bees home. It would be a nice break for the rest of us and our bees as well. Just when I thought that we might not ever see a winter like in the “old days,” we’re not only getting a good drenching, but a nice snowfall. Good for ground moisture, but sure hit some of the plants that had already begun to flower. And then there’s our poor bees—they were expanding their broodnests in response to the alderpollen coming in, and then were suddenly forced to contract. Those of us who moved our hives to almonds had to worry about them getting drowned. Eric and Ian went back down to the Valley to drag hives out of the water. During the rain, Huw Evans from Arnia hive monitors, flew over from Europe to install some custom-built entrance flight counters on some of our hives placed in four different orchards. The devices record in real time the number of bees flying out, and then number returning. I’m coordinating with the orchard managers so that Ican see how the bees respond to fungicide spraying.